Every photo has its own story and it is up to you to decide how this story will be used. Photos can help your audience engage with an issue and attract the attention you are seeking. In this presentation, Sergey Karpov introduces techniques of storytelling that civil society organizations can use in their advocacy campaigns, awareness campaigns or in the promotion of their activities. 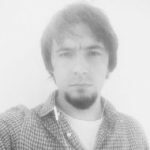 Sergey started his career as photo reporter in 2007, has been working with leading Russian and international news agencies. In 2013 together with Sergey Prostakov, Sergey launched ‘The Last 30’ cross-media project, discovering the development of post-Soviet society between 1985 and 2015. Since 2015, Sergey runs Special Projects at TakieDela multi-media platform. In 2017, one of his projects – ‘Warm Waters: Kamchatka’ received Visa d’Or for the Best Digital News Story award.